A Twizler card which features a man who may be regretting this particular fast food option! A great card for a fast food lover! It is blank inside making it suitable for a variety of occasions. 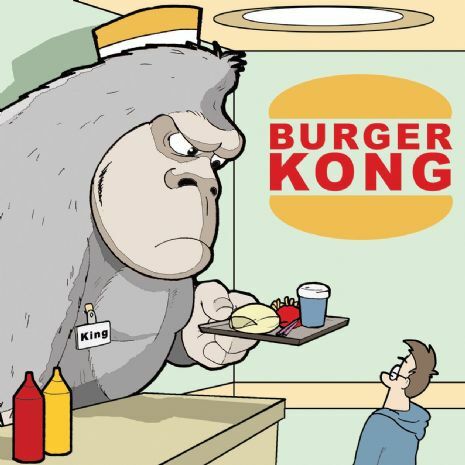 The words on the front of the card reads Burger Kong.